Borrowing elements from both ARPGs and FPS games, Borderlands builds a unique scenario for an engaging 4 coop adventure, in a game that borrows it's aesthetics from comic books and pulp novels. The game is set on Pandora, a planet full of perils and odd characters. Choosing between one of four vault hunters, players will seek a promise of wealth and power. A mechanically interesting game that is let down by everything around the edges being very, very rough. There basically are no characters and the "story" is just a lame excuse to get boring enemies in front of your cross-hairs. Fortunately, the loot-based progression helps make this game worth playing: the weapon variety is fantastic. 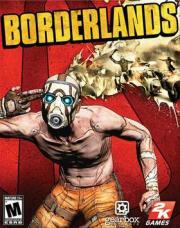 Still delivers what makes Borderlands great: decent enough depth, co-op craziness, a silly and humorous story. BL2 is better but I still love this one. Entertaining in small doses, but it gets old fast. This game hit me like a ton of bricks when it first came out. I'm bad at shooters and games with shooter elements; this is the game that met this RPG kid halfway by having accessible shooting mechanics along with good-enough RPG elements to keep me interested. Fun story, characters that were fine enough, couch co-op that's actually fun to play, fulfillment of my loot goblin tendencies, and an art style that I rather enjoy even if it isn't for everyone. Inarguably repetitive, but a good time. Borderlands was some kind of sleeper hit. I don’t even know how I first learned of it, or why it even seemed worth my time. In fact, I remember being on the fence until a couple days before it was released when Walmart announced it’d cost only $40 for the first week of release. Then I was sold. I poured so much time into this game it’s not even funny. The world design is fun to watch, but the gameplay is so flat, the costumization of the weapons it's not enough to keep the interest on the long term. Probably a game for people that just want to relax half an hour after work. Much fun and unique in style. Highly entertaining. It combines FPS with RPG elements, has great comedic story-telling, a kickass opening credits, and a solid multi-player. A bit aged, now, as the 2nd installment pretty much improves on all elements, but still a very solid gaming experience. No invert-x. The sequels have it. instead of doing chores for your mother, you could do chores for NPCs. woohoo!